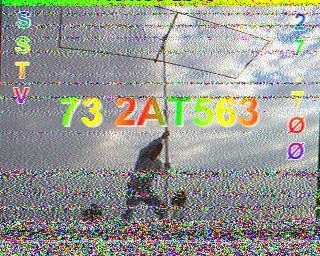 I've captured a number of images on 27700 kHz, the unofficial SSTV "channel" for outbanders on 11m this week. 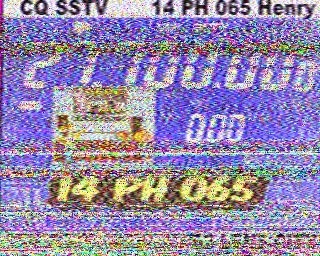 It's so easy to leave the receiver on this frequency during the day and pull down images...but this is the Hobby Broadcasting blog, not the Outbander blog, so I'm going to cut back a little and maybe feature these images 1-3 times per week. 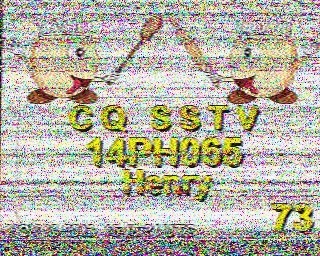 BTW, with a number of pirate DXers around the US leaving their radios on during the day, I wonder how long it'll take some pirates to run a few SSTV images on 27700 kHz, just to see if anyone's listening and to check propagation on the frequency. 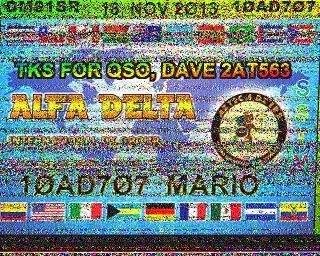 Testing here would be a great way to check propagation for potential broadcasts on the mostly empty 13-meter broadcasting band, afterall... Also, I wonder if any of the SSTV outbanders will ever stumble across sites like this one or HF Underground and try some pirate radio broadcasting?